Railway Recruitment Cell (RRC) has Announced about the Recruitment of 103769 Posts of Level 01 (Assistant (Workshop), Assistant Bridge, Assistant C&W, Assistant Depot (Stores), Assistant Loco Shed (Diesel / Electrical), Assistant Operations (Electrical), Assistant Pointsman, Assistant Signal & Telecom, Assistant Track Machine, Assistant (TL & AC / TL & AC (Workshop)), Assistant TRD, Assistant Works, Assistant Works (Workshop), Hospital Assistant, Track Maintainer Grade IV,) Posts. Many Interested Candidates filled their Application Form. The Process of Submitting Application Form is Conducted Online. The Process of Submitting the Online Application is started from the Date 12.03.2019 & Conducted Till the Date 12.04.2019. Railway Recruitment Cell (RRCs) will conduct a CBT exam for recruitment of Level 01 Posts. Exam Will be Tentative schedule September-October 2019. Exact Date of Examination Will be Announce Later on the Official Website. More Details About the Exam is Provided Below. RRC Group-D (Level-1) Application Status 2019 Candidates can verify their eligibility from the website of RRB concerned. SMS and e-mail messages will be sent to all eligible candidates. Candidates should keep their mobile numbers and emails active till the end of document verification. RRBs will not entertain any request for change of mobile number and e-mail address at any stage. Candidates are advised to keep in touch with the website of RRB concerned and this page also for RRB Group-D (Level-1) Application Status updates. Latest Updates On 12-04-2019 :- The Allahabad University Online application is started now and Conducted till 3rd May 2019. Candidates can Now apply for Admission with the help of link Below………..
University of Allahabad, informally known also as Allahabad University is a public central university located in Allahabad, Uttar Pradesh, India. Established on September 23, 1887, it is the fourth oldest University in India. Allahabad University has always occupied an esteemed place among the universities of India for over a century now. Established on 23rd September 1887, it is the fourth oldest university of India after Calcutta, Bombay and Madras University. Allahabad University Conducts Examination For Different Post Graduates Courses 2019. University Has Released A Notification Regarding This. Till Now There Is Only MBA Course Available For Registration After Some Time More Post Graduate Course Will Be Available. The minimum qualification for admission to the MBA & MBA (RD) programme shall be graduation from a recognized Institution (Degree Course of at least three years duration with separate annual/semester examination system) from any stream. Students appearing in the final year examination of the undergraduate class shall also be permitted to apply, subject to the condition that they furnish their final graduation pass result not later than the specified date. Three Year Law Degree Course: An applicant who has graduated in any discipline of knowledge from a University established by an Act of Parliament or by a State legislature or an equivalent national institution recognized as a Deemed to be University or Foreign University recognized as equivalent to the status of an Indian University by an authority competent to declare equivalence, may apply for a three year degree program in law leading to conferment of Ll.B, degree on successful completion of the regular program conducted by a University whose degree in law is recognized by the Bar Council or India for the purpose of enrolment. Minimum marks in qualifying examination for admission: Bar Council of India from time to time has stipulated the minimum percentage of marks not below 45% of the total marks in case of general category applicant, 42% for OBC category and 40% of the total marks in case of SC and ST applicant, to be obtained for the qualifying examination. Provided that such a minimum qualifying marks shall not automatically entitle a candidate to get admission into an University/ Colleges but only shall entitle the person concerned to fulfill other criteria notified by the University/Colleges concerned or by the government concerned from time to time to apply for admission. Subject Candidates : For all Courses mentioned in List I to IV please remember that Applications can be made for only those subjects with whom a candidate has appeared/passed Graduate in any stream, Third Year Examination or Equivalent Examination. No candidate is allowed to appear in any examination in which he/she has not appeared/passed at any stream of Graduation at Third Year. Non-Subject Candidates : Those students who wish to take admission in a subject in which they have not appeared/passed at Graduate in Final Year in any stream have an option to choose any one of the following subjects (a) Hindi (b) English (c) Med. & Mod. History (d) Ancient History (e) Political Science (f) Philosophy (g) Education she/he can indicate it at proper place in the form. But they cannot appear in PGAT examination in such subjects. For subjects mentioned in List – V each student will have to apply in a separate Form. It is mentioned once again to kindly look into eligibility conditions of each course. There is no limit for number of Application Forms i.e. a student can apply in any course provided he/she fulfills eligibility conditions. M. Voc in Media Studies Graduation – (in any stream)/B.A. in Media Studies /B.Voc. in Media Studies (NSQF Level 7) or equivalent. Master in Computer Applications(MCA) – 10+2+3 Course from any discipline (B.A./B.Sc./B.Com.) from any recognized university/institution or any other examination equivalent with mathematical aptitude. M.Sc. Food Technology – B.Sc. Examination from any recognized University with Chemistry or Biochemistry as one of their major or minor subjects, B. Sc/B. Voc Food Technology, B.Sc. in Agriculture/Agriculture Sciences or B. Tech./B.E., B.Sc. (Home Science) or equivalent examination. M.Sc. Nutritional Science – B.Sc. Examination from any recognized University with Chemistry or Biochemistry as one of their major or minor subjects, B.Sc. (Home Science) or equivalent examination, B.Sc. in Agriculture/Agriculture Sciences or B. Tech./B.E., , B. Sc/B. Voc Food Technology. M. Voc in Fashion Design & Technology Graduation (in any stream) along with three years working experience in Fashion Technology/Graduation in Fashion Design/B. Voc in Fashion Technology (NSQF level 7) or equivalent. 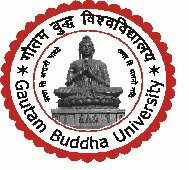 Only female candidates Post Graduate Diploma in Computer Applications (PGDCA) 10+2+3 in any stream from any recognized university or its equivalent Degree with mathematical aptitude. The candidate has to fill and submit the Form ON-LINE, in accordance with the instructions given in the said Website and also summarized in this Section. NOTE-The Form shall not be accessible at the Website www.auadmissions.com or admission 2019 Link of www.allduniv.ac.in after the last date of accessibility given in the Schedule. For M.B.A And M.Ed : Rs 1600/- for General and OBC candidates and of Rs 800/– for SC, ST and PH candidates. Candidates may pay there application fee by challan. Admission Test Fee is Rs. 800 for General/OBC candidates and Rs.400 for SC/SC/PH candidates. It is to be paid online with the form submission. Admission Test Fee is Rs. 1600 for General/OBC candidates and Rs.800 for SC/SC/PH candidates. It is to be paid online with the form submission. Admission Test Fee is Rs. 1600 for General/OBC candidates and Rs. 800 for SC/SC/PH candidates. It is to be paid online with the form submission. The admission to the MBA course shall be based on Admission Test comprising of Written and Oral Tests. All applicants shall have to appear for the written tests while the oral tests shall be held for candidates short–listed on the basis of their performance in the written test. The number short-listed for the oral tests shall be as decided by the Admission Committee subject to the minimum of five times the number of approved seats.All tests shall be conducted only in English medium. Admit Cards for all the valid applications received by the university will be processed and enabled on the official website. The Candidates can download their admit card from the website after entering their Application ID and date of birth. Candidates must correctly enter their date of birth in the Online Application Form. All Admit Cards will be uploaded for all the valid applications On Different dates. National Institute of Electronics & Information Technology (NIELIT), an autonomous Scientific Society under the administrative control of Ministry of Electronics & Information Technology, Government of India, was set up to carry out the Human Resource Development and related activities in the area of Information, Electronics & Communication. NIELIT conducts an Entrance Exam for the students to take admission under various programs and courses like Digital Literacy Course, Non Formal Course, Formal Courses, PG/Advanced Diploma Courses and Short Term Courses. NIELIT has also the O/A/B/C Level Courses. Candidates can take admission in the above programs only by Qualifying the Entrance Test. The Candidates must have 10+2 Certificate from a recognized Board or ITI Certificate (One Year) after class 10 from a Renowned Institute. The candidates will have to pay Rs.500/- for theory paper and Rs.100/- for processing fee. Candidates can pay the exam Fee through Net Banking/Debit/Credit Card also. Candidates can apply Online through the Link [http://student.nielit.gov.in/]. No other mode will be accepted except Online Mode. If any candidate do so, his/her candidature will be declined by the Authority. Note : – Candidates can get the Exam, Admit Card and Result update by adding our page to your Bookmarks. We will try to update you with all the described information alerts. Candidates can write their Suggestions, Queries and Doubts in the Comment Box Given Below. We will try to sort out them as soon as possible. B.Sc. (Voc.) 06 Sem Intermediate with appropriate subjects or an equivalent examination. B.Com. (Voc.) 06 Sem Intermediate with appropriate subjects or an equivalent examination. B.F.A. * 08 Sem Intermediate or equivalent examination with at least 45% marks. 06 Sem. Intermediate with at least 45% marks in Arts or Science group. Certificate (CPL)* * 02 Sem Intermediate or equivalent examination. B.A.LL.B. 10 Sem Intermediate or equivalent with at least 45 % marks. candidate has to pay online fee, Rs. 1000=00 for Gen. & OBC/Rs. 700=00 for SC/ST (including Web Registration). On-line application-form will be available on University website, www.dbrau.org.in. Initially candidate has to complete the Web Registration Form and thereafter Application Form. A hard copy of the application along with necessary documents must be submitted through Speed Post/ Registered Post only to–The Co-ordinator, Admission 2018, Department of Mathematics, (Dr. Bhimrao Ambedkar University), IBS, Khandari Campus, Agra-282002. The candidates are requested to check the University website for relevant admission information.